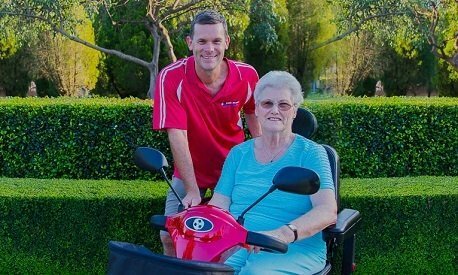 Our journey to becoming the fastest growing specialist company offering mobility scooters in Brisbane started in 2008. As a community organisation, we helped people throughout south-east Queensland become healthier and more active with a particular focus on programs for children and people with disabilities. Since then, thousands in Australians have benefitted from these programs. In recent years we noticed an increased number of retirees in the community and the need to provide solutions to keep them active. This led us to introducing mobility scooters in Brisbane to keep people socially engaged and emotionally healthy. One of our objectives includes working with councils to improve accessibility on the local streets. Safety is essential so we make sure residents have acceptable footpaths and crossings. Mobility scooters in Brisbane play a major role in helping to keep people more active and social, so we’re proud to offer only the highest quality, lowest priced mobility scooters in Brisbane for all your mobility needs. You may have seen second hand scooters for sale and thought it could save some money. There are many used models available like a Shoprider mobility scooter for sale and we understand the initial purchase is cheaper that a new scooter. We often have customers who purchase a used mobility scooter, and soon after require new batteries, brakes or motors. This can become more expensive than a new scooter so we recommend the purchase of an Active Scooter that’s got a longer warranty, and we’ll ensure it’s the right size for your needs. What makes our scooters better? We’ve carefully analysed the top mobility scooter manufacturers internationally, including Pride, Invacare, Merits, CTM and Shoprider mobility scooters, and only one company fulfilled all of our criteria. Our manufacturing company, Feishen, was founded in 1994 and has won awards in excellence, science and technology. They sell mobility scooters to over 70 countries, and meet or exceed international quality standards in ISO, CE and DA. Active Scooters was founded in 2008 to get people within our local Brisbane community healthy and active and to enhance their lives. Get in touch with our friendly team for a obligation free consultation.